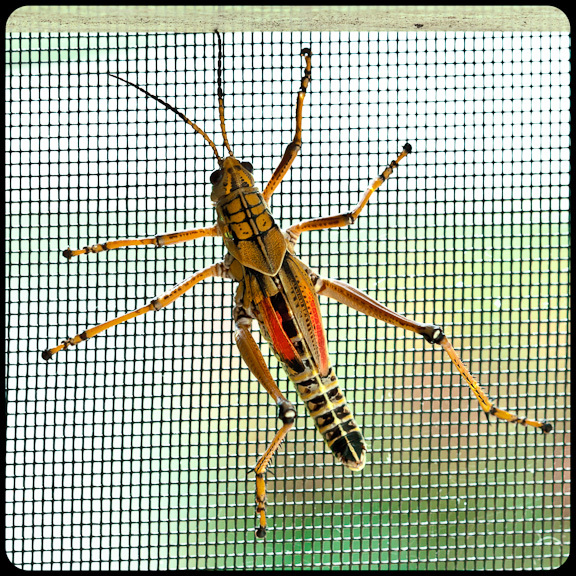 This morning I found this colorful guy in my backyard, sunbathing on the patio screen. 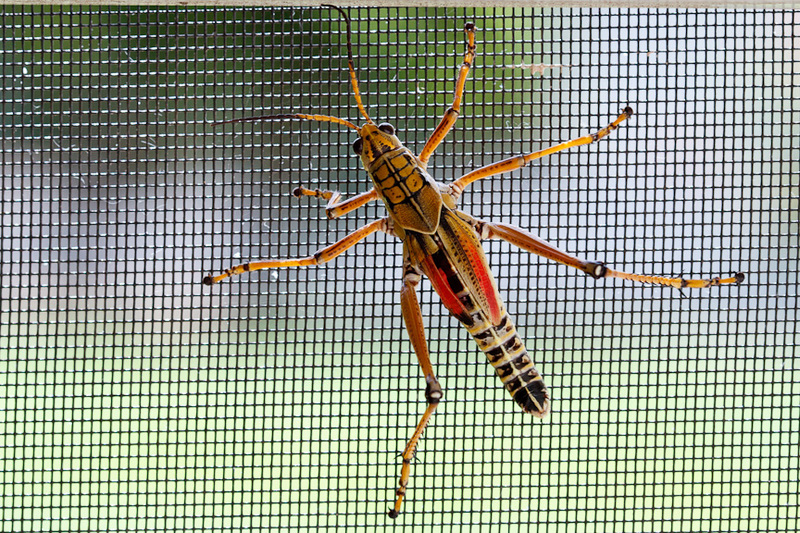 He seemed to be a bigger-than-normal sized grasshopper. 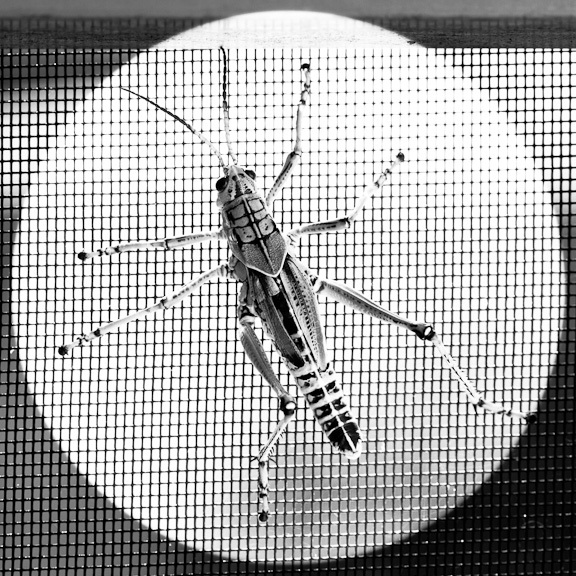 As soon as i saw the grasshopper the words “macro photography! go get your camera!” raced through my mind. 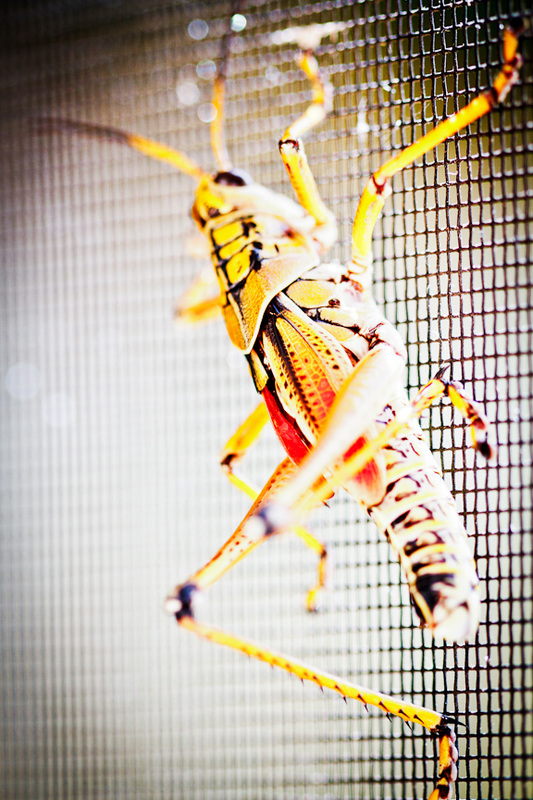 I quickly ran back in the house, grabbed my 7D and went back outside; and here are the results… What do you think? 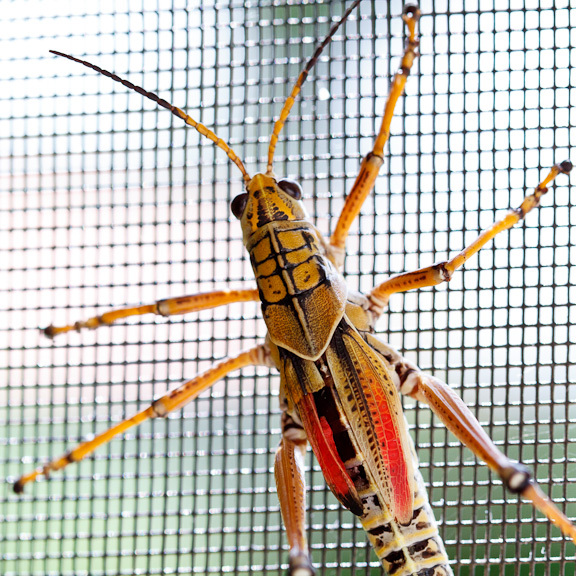 This entry was posted in Macro photography, Personal and tagged Florida, grasshopper, macro photography. Bookmark the permalink.